It seems when we launched version 2.0 of our Flickr shapes, we posted them with a flaw which made them useless to most popular geo applications. Luckily, Christopher Manning wrote a python script which makes them useful. A very hearty THANKS! from your friends at Flickr, Christopher. 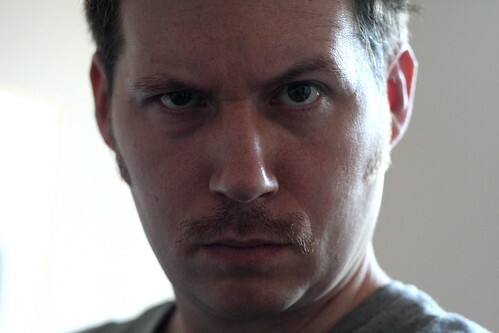 The best thing about working at Flickr is that my coworkers all love the site and product ideas can come from anyone. Recently, the Flickr staff had to work from home while our office was disassembled and relocated a few floors down. A chance to sleep in and start the weekend early? Or get together with a few ambitious coworkers and hack together a new feature? We met at Nolan’s house, ate a farmer’s breakfast, and brainstormed. We wanted to build something fun, which a few of us could start working on that morning and have a demo ready by the end of the day. Something suited to the talents and interests of the people in the room. Secret Faves? Risqué Explore? Bert wanted to help people geotag more photos, but he wanted more sophisticated privacy controls first. 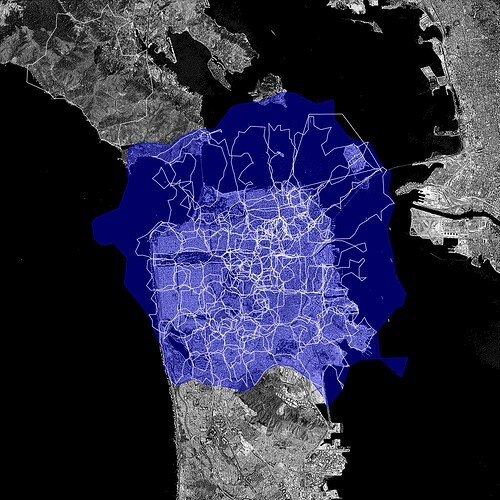 I’d been using a simple web app that I built with the Flickr API to manage the geo privacy of my photos, and it seemed like something more people should have access to. What the beep is a geofence? You probably know what geotagging is. It’s nerd-speak for putting your photos on a map. 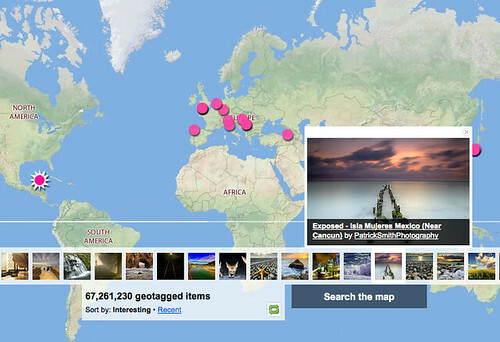 Flickr pioneered geotagging about five years ago, and our members have geotagged around 300 million photos and videos. We’ve always offered the same privacy settings for location data that we offer for commenting, tagging, and who can see your photos. You have default settings for your account, which are applied to all new uploads, and which you can override on a photo-by-photo basis. This works well for most metadata. I have a few photos that I don’t want people to comment on or add notes to, but for the most part, one setting fits all my needs. But geo is special. I often override my default geo privacy. Every time I upload a photo taken at my house, I mark it “Contacts only”. Same for my grandma’s house. And that dark place with the goats and candles? Sorry, it’s private. Managing geo privacy by hand is tedious and error prone. Geofences make it easier. Geofences are special locations that deserve their own geo privacy settings. Simply draw a circle on a map, choose a geo privacy setting for that area, and you’re done. Existing photos in that location are updated with your new setting, and any time you geotag a photo in that area, it gets that setting too. 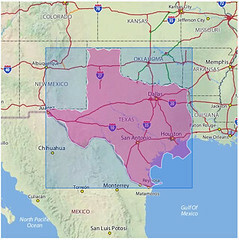 Geofences are applied at upload time, or when you geotag a photo after uploading it. It doesn’t matter how you upload or tag your photos: The Organizr, the map on your photo page, and the API all use geofences. If you’re ready to dive in, visit your account geo privacy page and make your first geofence. When dealing with privacy, we need to be conservative, reliable, and have clearly defined rules. The geofences concept is simple, but the edge cases can be confusing. What happens when you have overlapping geofences? What if you move a photo from outside a geofence to inside one? Where does your default geo privacy setting fit in? If your account default is more private than your geofences, the geofences won’t take effect. If you have overlapping geofences for a point, the most private one will take effect. 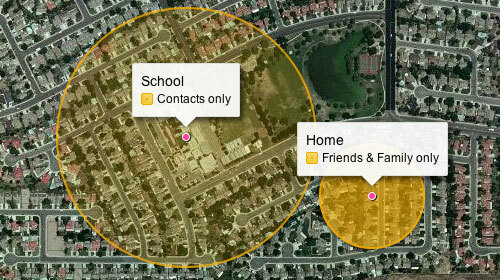 If you move a photo whose location was private into a contacts-only geofence, it will stay private. Note that friends and family are at the same level in the hierarchy. 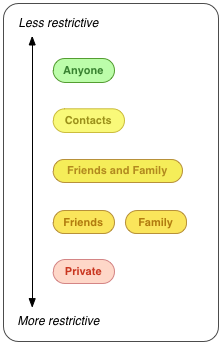 Your family shouldn’t see locations marked as friends only, and vice versa. 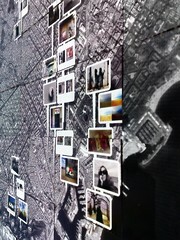 With that in mind, what should Flickr do when someone geotags a photo where friends and family overlap? Maybe he wants both friends and family to see it, or maybe he wants neither friends nor family to see it. To really be safe, we must make that location completely private. 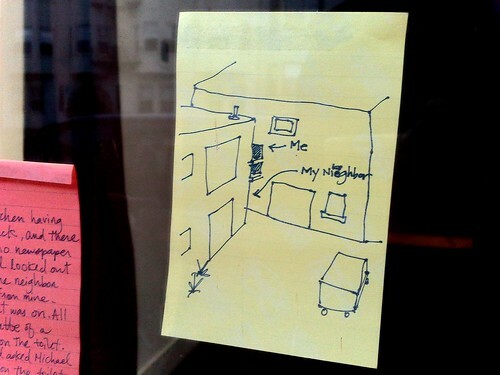 But today, physical places are important to how we use the web. Sometimes you want everyone to know exactly where you took a photo. And sometimes you don’t. An embarrassingly long time ago we released the first public version of the Flickr Shapefiles. 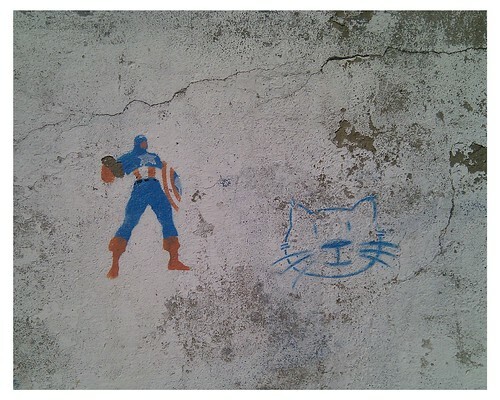 What does this have to do with Captain America and a cat? Nothing, really. Anyway, we haven’t completely forgotten about shapefiles and have finally gotten around to generating a new batch (read about Alpha Shapes to find out how it’s done). When Aaron did the first run we had somewhere around ninety million (90M) geotagged photos. Today we have over one hundred and ninety million (190M) and that number is growing rapidly. Of course lots of those will fall within the boundaries of the existing shapes and won’t give us any new information, but some of them will improve the boundaries of old shapes, and others will help create new shapes where there weren’t any before. 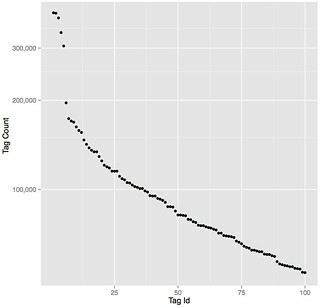 Version 1 of the dataset had shapes for around one hundred and eighty thousand (180K) WOE IDs, and now we have shapes for roughly two hundred and seventy thousand (270K) WOE IDs. Woo. Or if GeoJSON doesn’t suit you you can use a free tool like ogr2ogr to convert it to something that does. 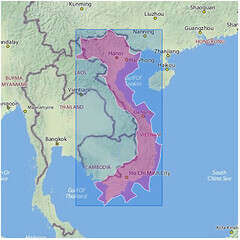 The GeoJSON format allows grouping of features (and their related geometries) into FeatureCollection objects. 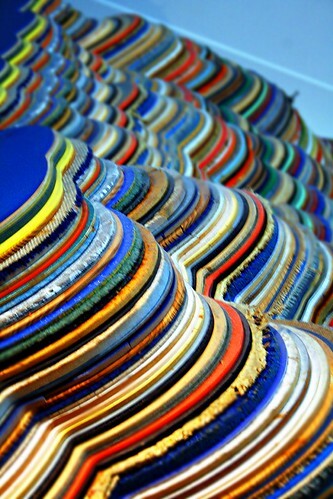 A FeatureCollection seems to be roughly equivalent to a layer in a typical GIS, or a placetype in WhereOnEarth-speak. To make the dataset a little easier to manage we decided to break the shapes up into FeatureCollections based on placetype; one each for continents, countries, regions (states), counties, localities (cities), and neighbourhoods. 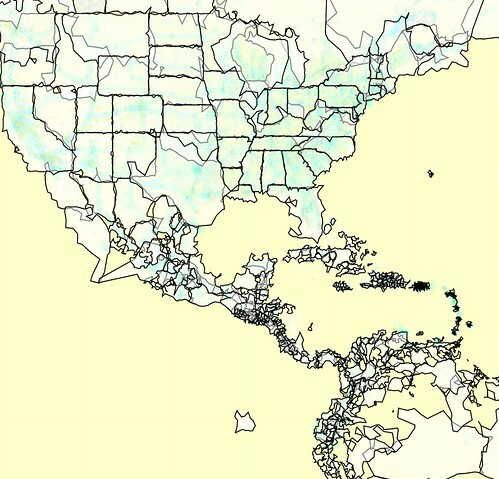 Each of these is its own GeoJSON file in the dataset. A file is a single FeatureCollection object which holds an array of Features, which each hold a Geometry which is a MultiPolygon, which holds an array of Polygons which in turn each consist of an array of LinearRings. Got it? 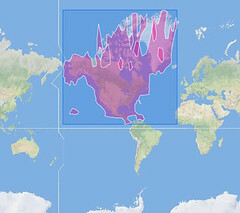 We’ve also included a separate file/layer called flickr_shapes_superseded.geojson. This is a FeatureCollection that consists of all the WOE IDs that have been “superseded”. Occasionally (too often?) a WOE ID needs to be retired and replaced with a new one. We keep up to date with these and are always reverse-geocoding against the latest WOE IDs. However, there are plenty of old photos (and Flickr shapes) that have been assigned to one of these old IDs, and we have shapes for them (currently a little more than nine thousand). A simple solution might be to just re-assign these photos to the new WOE IDs (when a WOE ID is retired its replacement is specified), or even just re-run the reverse-geocoding process. This may not be what the owner of the photo wants; it might come out with a different result than they had at first (which they may have been perfectly happy with), if the size and location of the WOE rectangle changed (which it probably did). So it’s a problem without a clear solution. And since we have data for these old WOE IDs we’ve included their associated shapes in the dataset. In most cases there will be shapes corresponding to the new WOE IDs that will over time become more and more accurate as more photos get uploaded and end up being assigned to the new WOE IDs. But you can have the old ones too. Sometimes, Clustr just gets it wrong. As mentioned in previous posts many of the Flickr shapes are just plain weird. It may be due to a lack of data (i.e. source photos), a weakness of the algorithm, an inappropriate choice of the alpha parameter or (shame!) a plain old bug. One of the things that surprised us was that Clustr was not supposed to output inner rings, or polygons with holes. It turns out that it does. In the GeoJSON output this can cause some weirdness (depending on what you use to render the shapes) since the GeoJSON is formatted with the assumption that each ring is a distinct polygon, instead of possibly one part of a single polygon with holes in it. This and other weirdness are known issues and something we shall strive to fix in the future, however we felt it best to release the existing dataset now rather than spend forever trying to get it perfect, and end up not releasing anything at all. You may also notice that unlike version 1 of the dataset, there is only a single shape per WOE ID. All of the previous versions of the shapes are still available via the Flickr API, but in the interests of keeping the file size down we’ve limited this download to just the latest versions of each shape. And as always, there’s lots more to do. [changelog] Yahoo! updated map tiles and some OSM ones. I’m as keen as the next person to have 45 new countries, so I bumped our version of the maps API used over here at Flickr to make use of the new tiles. Which gives us more to work with for many bits of Albania, Andorra, Argentina, Australia, Austria, Bahrain, Belarus, Belgium, Bosnia & Herzegovina, Botswana, Brazil, Bulgaria, Canada, Croatia, Cyprus, Czech Republic, Denmark, Estonia, Finland, France, Germany, Gibraltar, Greece, Hong Kong, Hungary, Iceland, India, Indonesia, Ireland, Italy, Kuwait, Latvia, Lesotho, Liechtenstein, Lithuania, Luxembourg, Macau-China, Macedonia, Malaysia, Malta, Mexico, Moldova, Monaco, Montenegro, Namibia, Netherlands, New Zealand, Norway, Oman, Philippines, Poland, Portugal, Qatar, Romania, Russia, San Marino, Saudi Arabia, Serbia, Singapore, Slovakia, Slovenia, South Africa, South Korea, Spain, Swaziland, Sweden, Switzerland, Taiwan, Thailand, Turkey, US, United Arab Emirates, United Kingdom and [catch breath], Vietnam. Often we’ll try to improve our coverage with the help of (the frankly awesome) OpenStreetMap (OSM) peeps, as previously mentioned in; Around the World and Back Again, Flickr [heart] Burning Man [heart] OpenStreetMap and More new map tiles. … which as you can see are pretty good. Clearly we can’t spend forever swapping tiles in and out, well maybe we can, but at some point there’ll probably be a better way of managing this kind of thing. //	Now see if we match any of these following tests to work out if we need to switch to osm or not. //	The meta-test is if we are in MAP mode. //	if we aren't already osming, then we need to switch the map tiles. //	Tell the maps to clear out the tile cache and load in the new tiles. "_cleanTileCache()" and "_callTiles()" are two undocumented functions (and therefor may break at some point) that allows you to force the map to load in new tiles. Otherwise the current view of the map will still show the Yahoo tiles and not use the new ones until you next pan the map around. Again there's probably a better way of doing this, but there's still a lot to be said for it-just-works! The next bit runs if we're not "in the zone" to see if we need to turn the OSM tiles back off. ... to record where YMapConfig thinks it aught to be loading tiles from when in map view (as opposed to hybrid or satellite view) so it can be reset when you need it. For a smidge of further reading this is a handy article from A List Apart: Take Control of Your Maps by Paul Smith. Over the weekend we broke the Hundred Million geotagged photos, actually 100,868,302 at last count, mark. If we remember that we passed the 3 billion photos recently and round the figure down a little that means (does calculations on fingers) that around 3.333% of photos have geo data, or one in every 30 photos that get uploaded. In the last two and a half years there have been roughly as many geotagged photos as the total photos upload to Flickr in its first two years of existence. Of those, around two thirds have public geotags and can be searched for on the map or via the API, and about 33 million have some level of private geotags. I should probably mention at this point that if you go directly to the map and click the dots icon in the top right that you’ll see a smaller number. This is because we added a rolling upload-date to the initial search to return the most interesting photos in the last month or so, rather than always have the same (all-time) photos show up forever, possibly reinforcing their interestingness. A long long time ago (2005) in a galaxy far far way (Vancouver) when we joined Yahoo! and moved FlickrHQ to the Bay Area all but one or two members of the team lived within ten square blocks of each other in San Francisco’s Mission District. John Allspaw, a long-time resident of the Mission used to regale us with stories of one of the neighbourhood’s notable quirks commonly referred to as the “donut hole”: The rest of the city could be covered in fog, or raining, but the moment you crossed over in the Mission the sky would open up and the entire neighbourhood would be bathed in sunshine. When John and George Oates and I used to car pool between the city and the offices in Sunnyvale, we would drive up and down highway 280 and sure enough as you approached the city, at the end of the day, you would drive into an enormous blanket of fog the moment we passed the airport in Millbrae. And as soon as we’d pulled off the San Jose exit there would be an open stretch of clear sky all the way to Civic Center where it would stop again just as suddenly. Some mornings, when I look out my kitchen window at the clouds hanging over Diamond Heights I like to pretend I can see the curvature of the inside of the donut hole itself. I was reminded of all this the other morning when I was generating some visualizations based on the shapefiles that are derived from the almost 100 million geotagged photos on Flickr. 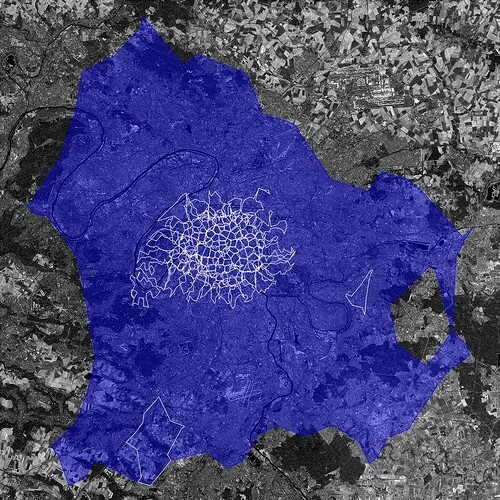 The larger, blue, contour is the “shape” of the city of Paris (or WOE ID 615702) according to Flickr. The smaller white contours are the child neighbourhoods of that WOE ID with public, geotagged photos. So, what’s going on then? The first outline maps roughly to the extremities of the RER, the communter train that services Paris and the surrounding suburbs. 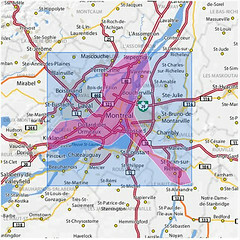 This is a fairly accurate representation of the “greater metropolitain” area of Paris. Metropolitain areas, increasingly common in both popular folklore and government administrivia as more and more people shift from rural to urban living , are noticeably lacking from the Flickr hierarchy of place types and a subject probably best left for another blog post. The rest, taken as a whole, follow closer to the shape of the old city gates that most people think of when asked to imagine Paris. Which one is right? Well, both obviously! Cities long ago stopped being defined by the walls that surround(ed) them. There is probably no better place in the world to see this than Barcelona which first burst out of its Old City with the construction of the Eixample at the end of the 19th century and then again, after the wars, pushed further out towards the hills and rivers that surround it. There are lots of reasons to criticize urban sprawl as a phenomenon but sprawl, too, is still made of people who over time inherit, share and shape the history and geography they live in. Whether it’s Paris, Los Angeles, William Gibson’s dystopic “Boston-Atlanta Metropolitain Axis” (BAMA) or the San Francisco “Bay Area” they all encompass wildly different communities who, in spite of the grievances harboured towards one another, often feel as much of a connection to the larger whole as they do to whatever neighbourhood, suburb or village they spend their days and nights in. That’s one reason I think it’s so interesting to look at the shape of cities and see how they spill out beyond the boundaries of traditional maps and travel guides. 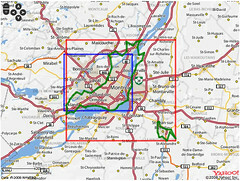 In the example above the shape for Paris completely engulfs the commune of Orly, 20 kilometers to the South of central Paris, which makes a certain amount of sense. It also contains Orly airport which isn’t that notable except that we treat airports as though they were cities in their own right because the realities of contemporary travel mean that airports have evolved from being simple gateways to captial-P places with their own culture, norms and gravity. So, now you have cities contained within cities which most people would tell you are just neighbourhoods. 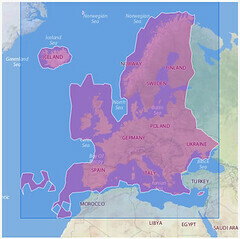 We’re recently finished rendering the second batch of shapefiles and looking ahead I am wondering whether we should also be rendering shapes based on the relationship of one place to another. Rendering the shape of the child places for a city or a country (you can do this using the handy, if awkwardly named, flickr.places.getChildrenWithPhotosPublic API method) would allow you to see a city’s “center” but also provide a way to filter out parts of a shape with low Earthiness (aka water). The issue is not to prevent, or correct, shapes that provide a “false” view because I don’t think they do. As Schuyler observed, while we were getting all this stuff to work in the first place, and testing the neighbourhoods that meet San Francisco Bay they are really the shapes of people looking at the city. They are each different, but the same. But maybe we should also map the neighbourhoods that aren’t considered the immediate children of a city but which overlap its boundaries. 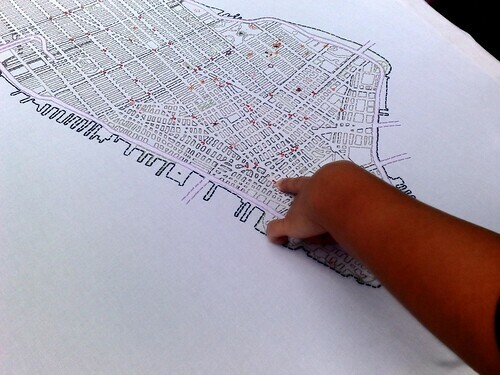 What if you could call an API method to return the list or the shape of a place’s “cousins”? What could that tell us about a place? What does all of this have to do with donuts? Nothing really, but it’s a nice way to think about the problem and since we have a long and storied tradition of silly names for projects I imagine this one will stick too. There are no fixed dates yet for when, or whether, any of this will make its way in to the API but quite a lot of it could be done with API methods already available today. One change we have made is to add a new flickr.places.getShapeHistory API method which include pointers to all the shapefiles that have been rendered for a place. I have dim and distant memories of possible reasons why not to do this, in the past, but the exercise in making donut shapes makes me think I was wrong. The more data and “nubby bits” that people have to work with the more interesting it will be for everyone. Almost ninety million, as I write this, and the numbers keep growing especially as nearly every new smart phone released to market has not only a camera but also the ability to capture location information with it. 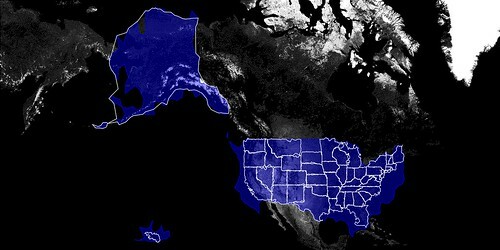 For every geotagged photo we store up to six Where On Earth (WOE) IDs. These are unique numeric identifiers that correspond to the hierarchy of places where a photo was taken: the neighbourhood, the town, the county, and so on up to the continent. This process is usually referred to as reverse-geocoding. Over time this got us wondering: If we plotted all the geotagged photos associated with a particular WOE ID, would we have enough data to generate a mostly accurate contour of that place? Not a perfect representation, perhaps, but something more fine-grained than a bounding box. It turns out we can. So, starting today there are 150,000 (and counting) WOE IDs with proper (-ish) shape data, available via the Flickr API. What kind of shapes, you ask? Each one of those illustrations represents the boundaries of a particular place whose outline was generated using nothing but the latitudes and longitudes of the geotagged photos associated with that location’s WOE ID. No GIS information was harmed in the creation of these shapes. This is the important part: Many, if not most, of these shapes will look a little weird. Possibly even “wrong”. This is both okay and to be expected for a few reasons, at least. Sometimes we just don’t have enough geotagged photos in a spot to make it is possible to create a shapefile. Even if we do have enough points to create a shape there aren’t enough to create a shape that you’d recognize as the place where you live. We chose to publish those shapes anyway because it shows both what we know and don’t about a place and to encourage users to help us fix mistakes. 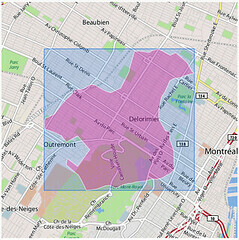 If the shape of the neighbourhood is incomplete or looks weird why not consider organizing a photowalk around its edges and when you get home add them to the map. The next time we generate a new shapefile for that neighbourhood it should look more like the place you recognize! We did a bad job reverse geocoding photos for a particular spot and they’ve ended up associated with the wrong place. We’ve learned quite a lot about how to do a better job of it in the last two years but there is a limit to how much human awareness and subtlety we can codify. Sometimes, the data we have to try and work out what’s going on is just bad or out of date. Ultimately, that’s why we added the tools to help users correct their geotagged photos so that we can adjust things to their understanding of the world and begin to map facts on the ground rather than from on high. We are not very sophisticated yet in how we assign the size of the alpha variable when we generate shapes. As far as we can tell no one else has done this sort of thing so like reverse-geocoding we are learning as we go. 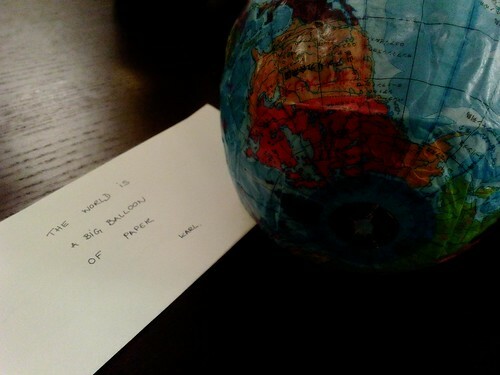 For example, with the exception of continents and countries we boil all other places down to a single contiguous shape. We do this by slowly cranking up the size of the ice cream scoop which in turn can lead to a loss of fidelity. Does the shape of Florida, or of Italy, include the waters that lie between the mainland and the surrounding islands? It’s not usually the way we imagine the territory that a place occupies but I think it probably does. On the other hand, including the ocean between California and Hawaii as part of the United States would be kind of dumb. Are any of these the correct decisions? We’re not sure yet. 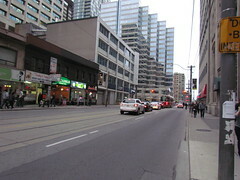 A concrete example to illustrate the point. Here are two versions of the island of Montreal, each generated from the same set of coordinates. The version on the left used an alpha number (an ice cream spoon) large enough to ensure that only a single shape was created compared with the version on the right that allowed for two shapes. As with any visualization of aggregate data there are likely to be areas of contention. One of the reasons we’re excited to make this stuff available is that much of it simply isn’t available anywhere else and the users and the developer community who make up Flickr have a gift for building magic on top of the API so we’re doubly-excited to see what people do with it. That said please remember that this it is an aggregate view of things and should be treated more like the the zeitgeist of a place and not as capital-C confirmed facts on the ground or our taking sides in any conflicts (real, imagined or otherwise) between friends and neighbours. These are not maps you should use to guide your spaceship back to Earth but they’re probably good enough to explore the possibilities. Meanwhile, back in the nuts-and-bolts department: The actual alpha shapes are generated by a program called Clustr, written for us by the fantabulous Schuyler Erle. Clustr is a command-line application written in C++ that takes as its arguments the path to a file containing a list of points (the hard chocolate pieces) and an alpha parameter (the ice cream spoon) and generates a shapefile describing the contour (the alpha shape) of that list. Anecdotally, we’ve seen Clustr plow through a file with four million unique coordinates (representing the continental United States, Alaska and Hawaii) in under three minutes on some pretty modest hardware. 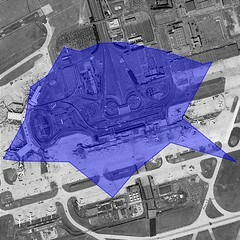 The shapedata for a WOE ID is available via the Flickr API using the flickr.places.getInfo method. Our plan is to generate new renderings on a relatively constant basis, something like every month or two, though we haven’t firmed up any of those details yet. 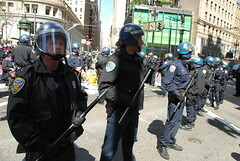 We’ll post about them here or on the API mailing list as things are worked out. Along with the shape data the source code for Clustr is available in the Flickr Code repository and through our trac install, distributed under the GPL (version 2). Clustr has two major dependencies not included with the source that you will need to install yourself in order to use. They are the Computational Geometry Algorithms Library (CGAL) and the Geospatial Data Abstraction Library (GDAL). Both are relatively straightforward to install on Linux and BSD flavoured operating systems; Windows and OS X are still a bit of a chore. You probably won’t be able to download Clustr and simply plug it in to your awesome web-application today but I am hopeful that in time the community will develop higher level language (Perl, Python, Ruby, you name it…) bindings to make it easier and faster to write tools that build on the work we’ve done so far. By the way, there is a still a known-known bug in Clustr rendering interior rings (the donut holes where there are no geotagged photos) in shapefiles. Specifically, they holes are rendered as actual polyline records. 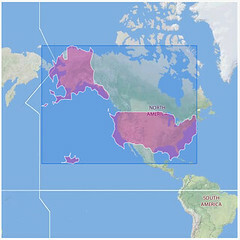 You can see an example of the problem in the screenshot of the shapefile for North America, above. We hope to have a proper patch in place by the time we make the ESRI files available next week. As it is since the problem only manifests itself for countries and continents it seemed like a reasonable thing for a version 0.1 release. 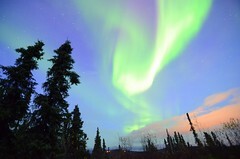 Update: Clustr 0.2, with a fix for errant interior rings, has been checked in to the code.flickr.com SVN repository. Finally, these are early days and this is very much a developer’s release so we look forward to your feedback and also hope you will be understanding as we learn our way around the gotchas and quirks that will no doubt pop up. 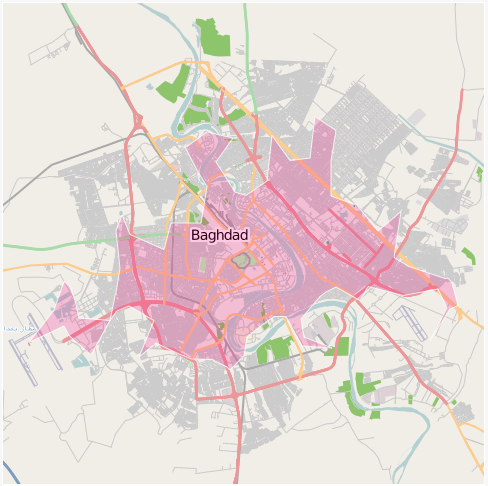 In other geostuffs, we have enabled Open Street Maps tiles for two more cities: Baghdad and Kabul and George has written a fantastic post highlighting some of the photos we’ve found in both cities so go and have a look. Normally we don’t talk about upcoming features but in recent weeks we’ve been hard-pressed to keep a lid on our renewed excitement for kittens. We’re betting 2009 will be a big year for kittens and it is why Dan and Heather are taking so much time to hash out the details for the new flickr.kittens API framework which we’re confident will re-embiggen-ize the how, the what and the why of photo-sharing! To pass the time, until then, I’m going to talk about some of the geo-related API methods that have been released in the last few months, but perhaps not properly explained in detail and introduce a new minty-fresh method which hasn’t been discussed at all! The response format is (almost) like all the other places methods, which I guess makes it a standard places response though we haven’t gotten around to standardizing it like we have with photos. Places responses will always contain a “place ID” and a “WOE ID”, a “latitude” and a “longitude”, a “place type” and a “place URL” attribute. They usually contain an “accuracy” attribute but it doesn’t make any sense in the a list of places for a user since the photos, clustered by place type, may have been geotagged at multiple zoom levels. In this example, we’ve also added a “photo count” attribute since that’s an interesting bit of information. 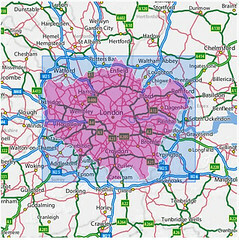 The list of place types with which to scope a query by is limited to a subset of the place types in the Flickr location hierarchy, specifically: neighbourhoods, localities (cities or towns), regions (states) and countries. While place_type is a required argument for the method, there are two other optional parameters you can use to filter your results. Note that we only roll up a single level so if, like the Halifax and Dartmouth, a locality gets rolled up in to its parent region it may still have fewer photos associated with it than the threshold you passed with the method call. If you think this is crazy talk and/or have some other use case we haven’t considered with this model tell us why and we can revisit the decision. Finally, as mentioned above the flickr.places.placesForUser method requires that you include an auth token with minimum read permissions. As always, please take extra care to respect people’s senstitivies when it comes to location data and, above all, don’t be creepy. WOE (short for Where On Earth ) IDs are the unique identifiers in the giant database of places that we (and FireEagle and the rest of Yahoo!) use to keep track of where stuff is. They are also available to you and the rest of the Internets via the public GeoPlanet API. In Flickr, every geotagged photo has up to (6) associated WOE IDs representing a neighbourhood, locality, county (if present), region, country and continent. <photo id="145874931" owner="37996593020@N01" secret="b695138626" server="52"
farm="1" title="bridge" ispublic="1" isfriend="0" isfamily="0"
You can also lookup the WOE ID for any set of latitude and longitude coordinates. Imagine that you are standing in front the infamous Wall of Rant in San Francisco’s Mission district and you’d like to see photos for the rest of the neighbourhood. They also save you from having to calculate a bounding box which is, you know, boring. Results are sorted by distance from the center point (you can override this by setting the sort parameter). Trying to do the same with a bounding box query would mean fetching all the results first and then sorting them which both expensive and boring and breaks the pagination model. Radial queries are not meant for pulling all the photos at the country or even state level and as such the maximum allowable radius is 32 kilometers (or 20 miles). The default value is 5 and you can toggle between metric and imperial by assigning the radius_units parameter a value of “km” or “mi” (the default is “km”). <photo id="2820548158" owner="29072902@N00" secret="b2fc694880" server="3288"
farm="4" title="20080901130811" ispublic="1" isfriend="0" isfamily="0"
See that min_taken_date parameter? Like all geo-related query hooks in the flickr.photos.search method you need to pass some sort of limiting agent: a tag, a user ID, a date range, etc. If you insist on passing a pure geo query we will automagically assign a limiting agent of photos taken within the last 12 hours . <photo id="2619847035" owner="27921677@N00" secret="0979aed596" server="3011"
farm="4" title="Kittens in Akiba" ispublic="1" isfriend="0" isfamily="0"
tags="japan cat tokyo kitten crowd akihabara unexpected"
the city of Tokyo, in addition to Beijing and Black Rock City (aka Burning Man), using the Creative Commons licensed tiles produced by the good people at Open Street Maps. We’re pretty excited about this but rather than just showing another before and after screenshot we decided that the best way to showcase the new tiles was with… well, kittens of course! That’s a lot to digest in one go but we promise there won’t be a pop quiz on Monday. 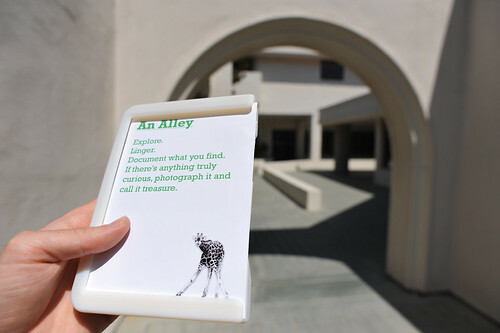 Hopefully there’s something useful for you in the twisty maze of possibilities, now or in an oh yeah, what about… moment in the future, and maybe even the seed for a brand new API application. Kittens! Imagine my excitement even more when I saw on Mikel’s blog that OpenStreetMap (OSM) had pushed new map data (and tiles) out the door for this years burning man, see Burning Man Earth Information Release for no more information what-so-ever ;) Hopefully Mikel will update soon with all the work that went into it. So when all those burners come back, it should be easily for them (you know, relatively) to drop those photos onto the map. Why not go see the new map for yourself, it’s rather pretty. It’s the power of The Creative Commons (and even more importantly, people) that make stuff like this work, and obviously we’re hoping to continue to do more. The glib answer I give for why this this sort of thing is important is so I can say “If you’re upset that we don’t have map coverage for where you are, you can grab some friends, go out, and make some”. As sort-of true as that is, probably a better answer is to read Mikel’s posts on Mapping the West Bank and Ups and Downs Mapping the West Bank (once his server recovers from whatever is hitting it, not us!). 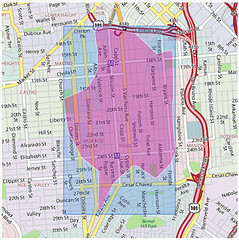 Which will hopefully illustrate far better than Burning Man why user created mapping data that can be used by anyone willing to use the CC Attribution-Share Alike license, is important.